Several years ago, I recounted a story of my experiences with the considerable energetic shift in telluric (earth) energy at Beltane in 2014. I remeber the moment so distinctly. I had planned on doing my solo Beltane celebration in my sacred grove. 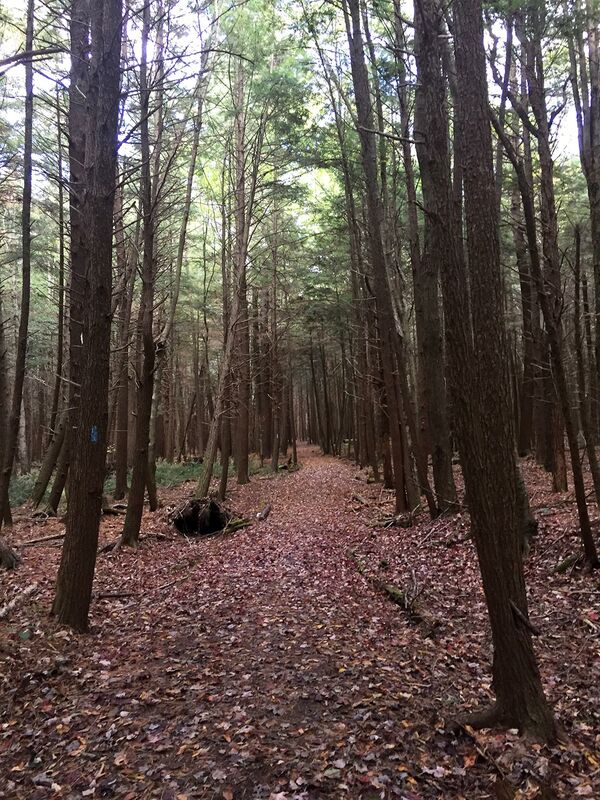 I walked down to the sacred grove and then, as soon as I connected with the energy of the land there to begin to open sacred space, everything felt wrong. It felt like the land was weeping, the vital energy being drained and scattered. I later found out that this was the day when Enbridge’s oil pipeline, line 6B, which was put in 1/4 mile north of my home, was turned on. That particular oil pipeline carried tar sands oil, the worst kind of oil, with the highest environmental cost. Enbridge had dug the pipeline over a several year period in our areat. I’ll never forget my experience that day–what was planned on being a festive and wonderful holiday instead became a day of deep earth healing and telluric energy work. Frequently, I hear other druids, those on similar earth-honoring paths, and those sensitive to earth energies telling these stories: how all the trees on the block were cut and weeping, how the river near their house is sick, how the land seems to be crying. The times we live in beyond difficult, they are extraordinarily challenging for those of us who walk this kind of spiritual path and are paying attention. Anyone who cares to pay attention can see what is happening, but the spiritual path also opens up other senses that give us deeper insight. Changes that happen not only on the physical but on the metaphysical. People who read this blog, who meet me in person, who share these stories want to know one thing often: they want to know what they can do. 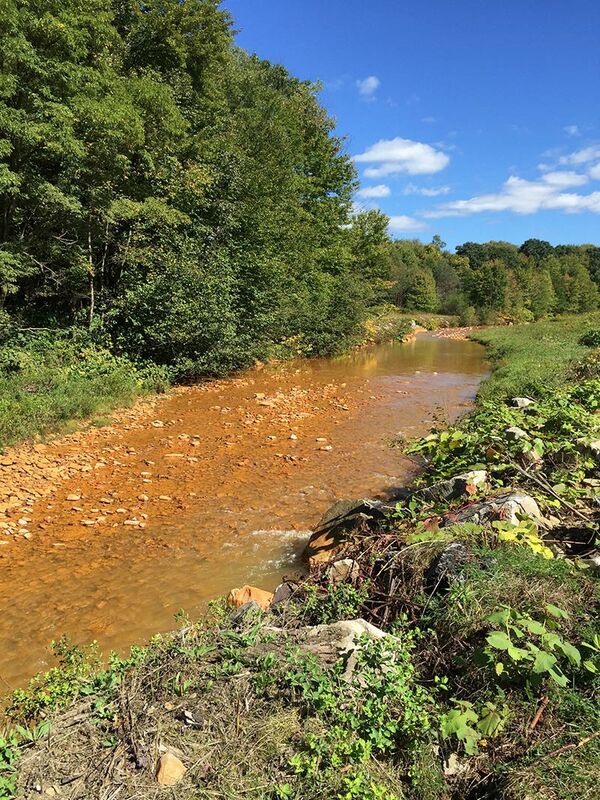 This experience, combined with so many others’ sharing their own concerns and stories, has certainly continued to resonate with me as I returned to Western Pennsylvania, which itself has a lot of exploitation and “resource extraction” activities (mines, gas wells, logging, etc). For many years, I’ve been in a place of observing and interacting on the land, and seeing a lot of energetic and physical damage. Due to some of these experiences, the last few years, I’ve written extensively on land healing and how we can do that healing as part of druid spiritual practice (for many of the land healing posts, see post 1, post 2, post 3, post 4, post 5, post 6, post 7, post 8, and post 9). That is, I’ve been thinking about our work as druids in the landscape and how we might be a force for good. 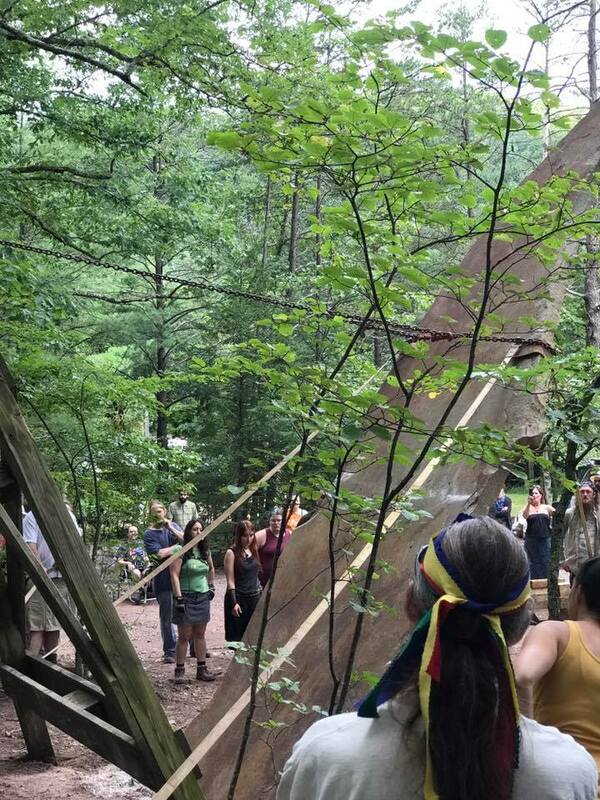 Last year at the Mid-Atlantic OBOD Gathering in the US (MAGUS), I worked with a team to develop a Celtic Galdr ritual for land healing for the Hemlock Wooly Adelgid threat, which was a moving experience for everyone who participated. This kind of land healing work is critical, necessary, and I believe is part of the work many of us are called to do in these destructive and challenging times. A lot of people would answer this question with thinking about direct action in the physical world. For me, I practice physical land regenreation and build ecosystems through the use of permaculture principles and permaculture design. Creating soil, composting, planting trees, , regenerating ecosystems, spreading seeds, wildtending and working to bring back healthy ecosystems. Other individual actions, like bringing our own lives into alignment with the living world through sustainable practices, are clearly part of this work as well. The physical proactivity is clear, measurable, and impactful. You can literally see the seeds sprouting, you can literally see the insects buzzing about and the soil rich with worms and mycelial hyphae. But what about spiritual proactivity? How might we go from responding to severe energetic damage to building something anew? Something resilent, something that is ours? What does that work look like, and how might we do it? In order to answer the questions I just posed, a quick delve into western philosophy and sociology is in order–for we have to understand some of the way the world is now in order to know what to do about it and how we can engage in spiritual proactivity. In the social sciences, the theory of “disenchantment” tied to Western ways of being is excellent framing for the problem at present, as this “disenchantment” has led to many of the above problems that so many of us find ourselves reacting to and wrestling with. “Only ascetic Protestantism completely eliminated magic and the supernatural quest for salvation, of which the highest form was intellectualist, contemplative illumination. It alone created the religious motivations for seeking salvation manly through immersion in one’s worldly vocation (Beruf)…. For the various popular religions of Asia, contrast to ascetic Protestantism, the world remained a great enchanted garden, which the practical way to onent oneself, or to find security in this world or the next, was to revere or coerce the spirits and seek salvation through ritualistic, idolatrous, or sacramental procedures.” (269-270) (my emphasis). While modern capitalism was on the rise, particularly with the colonizing and later founding of the United States, the world was being “disenchanted” and stripped of its magic. As the above quote explains, the modern capitalist pursuit of money for the sake of money’s sake was, in fact, rooted in a religion who valued, among other things, the over-intellectualizing of spiritual practice and the removal of anything that was meta-physical (beyond the physical, the world of spirit). This disenchantment, I believe, has led to so many of the problems we see and that I described in the opening to this post: without magic, without a sense of sacred, the world itself and all life in it, human or otherwise, are simply resources to be extracted. We see this current of thinking every day and manifested in every way. The “enchanted garden” of the world was essentially stripped from human conciousness in western society. The results are certainly present today: in mainstream culture, the very idea that you can talk to trees, or that the world may contain magic, is so laughable and outlandish that many people who believe such things end up “in the broom closet” hiding their beliefs for fear of mockery. I know of druids who have been fired from jobs for having their minority religion status revealed: all because they dare to believe in an enchanted world. The only place that such enchantment remains is in fantasy movies, books, or video games–the idea of magic is still present, but only in a safe “fictional” way (in some ways making real magic even more outlandish). In another work, Weber writes that the participation in the modern capitalist system, which he argues that the Protestant work ethic essentially created, was like an “iron cage” for all members born into it. Iron is what drove industrialization after all, and so it is a very fitting metaphor. He writes, “This order is now bound to the technical and economic conditions of machine production which today determine the lives of all the individuals who are born into this mechanism, not only those directly concerned with economic acquisition, with irresistible force. Perhaps it will so determine them until the last ton of fossilized coal is burnt. In Baxter’s view the care for external goods should only lie on the shoulders of the ‘saint like a light cloak, which can be thrown aside at any moment.’ But fate decreed that the cloak should become an iron cage.” (p 183). Weber was writing nearly 100 years ago, in the height of industrialization, when the world had undergone a terrifying transition. Since that time, consumerism has been added to the industrialization mix, but the same dominant worldview (what John Michael Greer would call the “religion of progress”) that was present in his day is still at work today. And so, we’ve been born into this “iron cage” capitalist system that has viewed the world as nothing more than a resource to extract, as something with no enchantment, no inherent magic. These ideas (which Weber argues are rooted in Protestantism’s work ethic) eventually created the most destructive human civilization in the world. Its heard to read the quotes from Max Weber and not feel a bit of despair. The conflict of everyday living and nature spirituality is there, for so many, because we are still locked up in the iron cage of capitalism and the larger system: even if we want to live differently, even if we do everything we can to live differently, the system is always working against us, the iron wheels of progress turning and crushing. Even if we don’t want to participate, that system is outside of our door, moving and grinding away. But there is another possibility: the possibility of rebuilding an enchanted world. The possibility of building a counter-system, something different, something better. Certainly, this is at the core, perhaps unspoken, of many modern earth-centered movements: bringing the magic back into the world, back into our lives, and back into our landscapes. And so, now, we turn to spiritual proactivity and the re-enchantment of the world. It is important to note for our puposes here that the ideas of capitalism and consumerism were ideas long before they were realities. In the same way that ideas become the realities of capitalism, so can ideas about enchancement and magic become realities again in our world. If humanity is to surviv the post-industrial age, I believe they need to become realities again. The concept of the world as an enchanted place, concepts that have been with humans since the dawn of time, are not lost. They still reside in the hearts and realities of every person who takes up a druid path or similar nature-oriented spiritual practice. But if we look at so many non-mainstream movements: druidry, nature-based spirituality, neo-paganism, permaculture, urban farming, yoga/mindfulness, traditional herbalism–so many things happening right now, that new system where the world is sacred, where nature is valued, where the land is an enchanted place is already being tested, expanded, created. People are getting fed up with the “iron cage” and seeking a different path forward–they are working to bring the magic back in. When I say “enchantment” I refer not to the inherent magic in the world, that has always been there and continues to be present, but rather, our ability as humans to access that enchantment and to work, physically and metaphysically, to raise and shape the magic of the world. For those of us who pay attention not only to the phsyical world, but the metaphysical world, there is a lot of opportunity both for individual and group action to engage in re-enchantment. I believe we are in the process of creating a larger vision for what re-enchanting our world might look like. There is no one way to do this, but many ways, and it is only through the attempts at doing something that we will find our way forward with it. And for this, is useful to begin in the past, considering what ancient humans did, and the wisdom they have left us with. Sacred Relationships and Connections: Ultimately, relationship and connection is at the heart of reenchanting the world. Enchantment is both a physical reality in the world, a metaphysical reality in the world, and a perception/awareness of such magic. 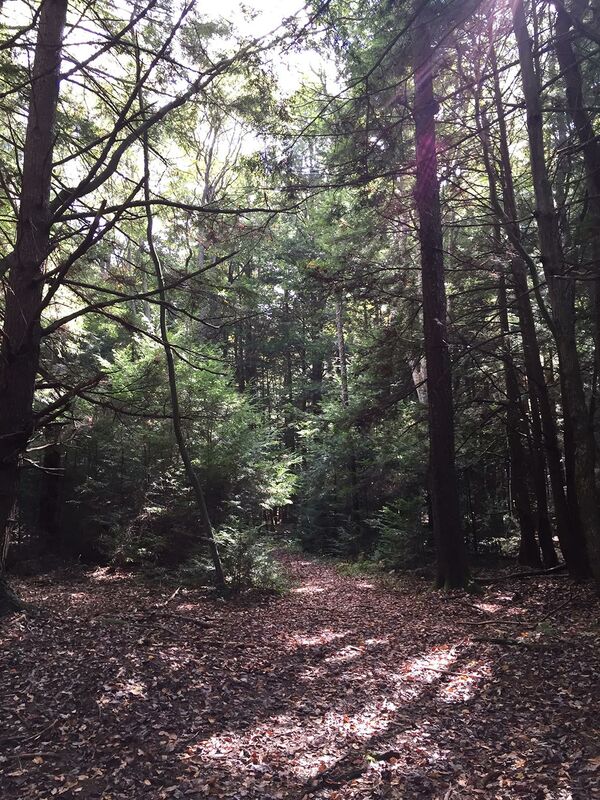 As I’ve written about before, I see druidry as inherently connection-oriented, that is, modern druidry seeks to reconnect people with nature, their own spirits, and their creative practices. This is part of the “relational” work of re-enchantment. Connection work can manifest in the building a personal relationship with the living earth: sacred work with trees, learning the names and uses of plants, recognizing our own dependency on the earth, communing and connecting with plant and animal spirits. This is inherently ‘re-enchantment’ work, and it is primarily done as part of individual spiritual practice. We’ll explore these concepts more in future blog posts. Sacred Spaces/Landscapes: Second, however, is the work on the land iself. Ancient human peoples saw the landscape itself as sacred–both what was naturally forming and already there, but also, and this is key–what they created and enacted upon the landscape. That is, enchantment in the landscape comes from a collaboration between the existing splendor and magic of nature and what humans have carefully created. We might think about creating sacred spaces and sacred landscapes on an individual level. This might mean creating sacred spaces, stone stacking, snow sacred geometry, and even the idea of sacred land. These are things individuals, with some land or none at all, can do regularly to think about how to energize and bless the land in a very proactive manner. But we might also think about this on a group level–which is what many ancient humans did. How and what might we build together? What shape would it take? What would it do? The topics of ley lines, sacred geography and earthworking offer much here. We have plenty of roadmaps left by the ancients: the ley line system in Great Britain, the songlines of the Aboriginal Austrialians, the various other kinds of magical and sacred pathways throughout the world. These ancient systems offer us tremendous truth: that human-assisted magic is still present in our world. And that we can build our own systems, anew. Since this post is already getting long, over the next few weeks, I’ll first be tackling the idea of “sacred lanscapes” and considering various ways in which we might “the sacred” in terms our land. By drawing upon other peoples and times, thinking about how we might develop sacred landscapes today. I will also note that re-enchanting the world and creating sacred landscapes this is part of the magical work that we will be engaging in at MAGUS 2018, so if you are planning on coming to the gathering, you will have a chance to do this kind of work in a group ritual and workshop setting and talk more about it with others! I hope that you and other Druidical/Pagan people are aware of how much good you may do without ever knowing about it. I will never forget the experience of walking through woods and clearings in a beautiful and unfamiliar place, already a sacred experience, and coming across a small stone circle clearly built with intention and love. The joyful rush of numinous love that filled me is not something that that I will forget, and it continues to influence my choices about my own landscape and protecting the natural world. Blessings on the people who made it, and everyone who makes sacred space in the natural world. This is an amazing story! 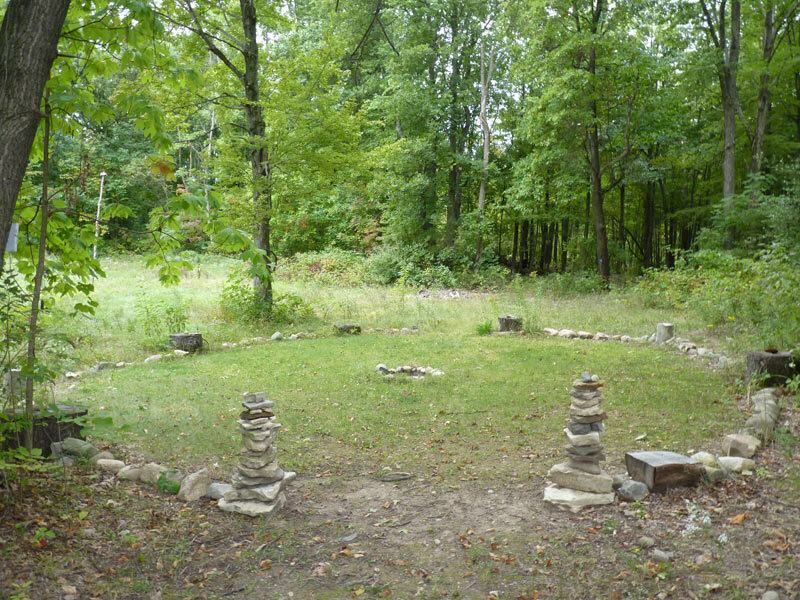 I, too, once came upon a stone circle in the middle of the woods. Two friends and I were hiking when we spotted it. We ended up doing some ritual and meditation there–it was such an incredible experience! I so much agree with you! Thanks for this great post. Seeing the earth and land as sacred is so obvious to some of us and yet so strange to main stream culture. I think having a vision of what we want as opposed to just fighting against what is happening is the key to a better future. Thank you again Dana for writing about such important ideas. Together we can vision a better, enchanted world. Kevin, thank you so much for reading and sharing. I think its hard to live in the place of tension–seeing the land as so sacred when so many don’t seem to see or care about it at all! Blessings! I’m all about this! We do need good, connected, proactive work to do. It’s too easy to become trapped in reactive mode. As druids, creativity is important in this way too! Thanks for the comment! And yes, connecting to creativity is so important! thanks for another nourishing post! Although the iron cage feels all too real. Yes, indeed it does. Stay strong! Hello Dawn, thanks for reading and your question! I think that many things are possible, and certainly, there are stories of this happening. For example, the famous ecovillage, Findhorn, was built after its founders connected with the plant spirits in the area and were told to build. My suggestion is that if you are getting a message that this is powerful, I would work to confirm it. Ask for additional signs, and perhaps, have someone else with divination skill also do some divination work. We are called to places for many reasons. Blessings!